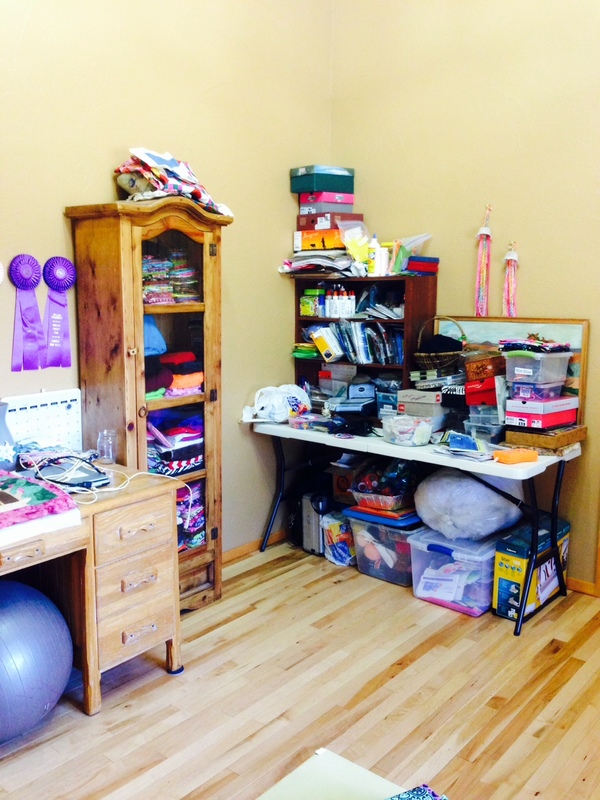 Spring Cleaning- Sewing/Craft Room- For Real! 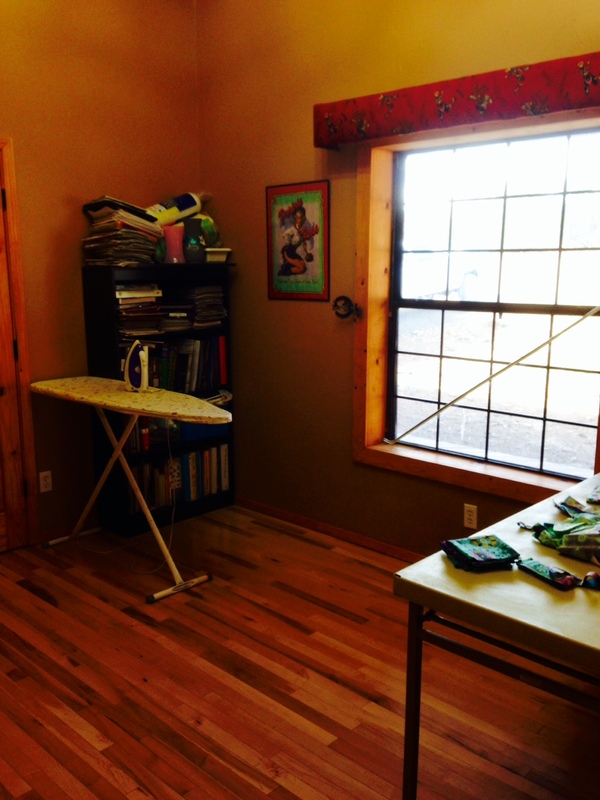 We’ve called this room of our house the sewing room/craft room for a long time, however, it’s actually been a junk room/guest bedroom. No actual sewing or crafting has ever taken place in it. 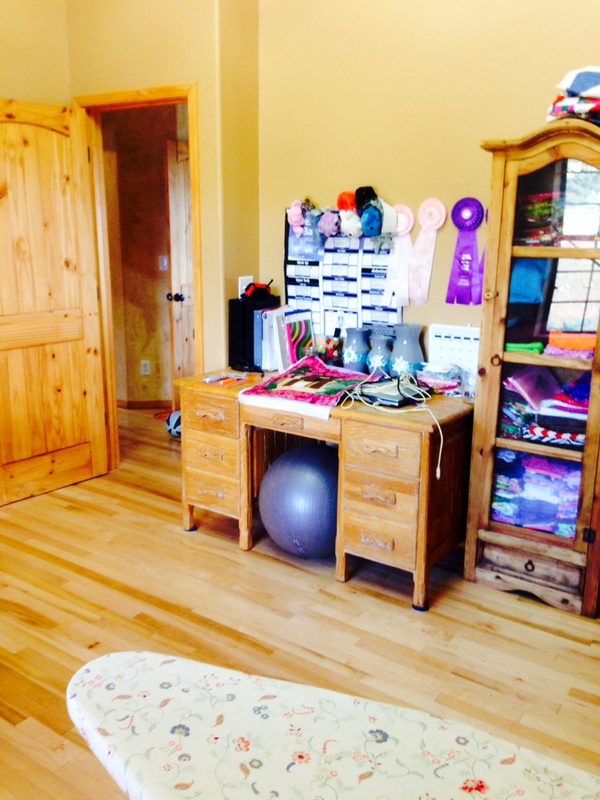 Today we moved the bed out and I sorted through the piles of stuff… what a chore! Wow… when I started on my first quilt a year ago I had no idea how much fabric I would amass or what a challenge it would be to figure out how to store all of the tiny pieces I just can’t part with! As you can see I obviously still need LOTS more shelving and storage for all of our crafting things and magazines, etc. 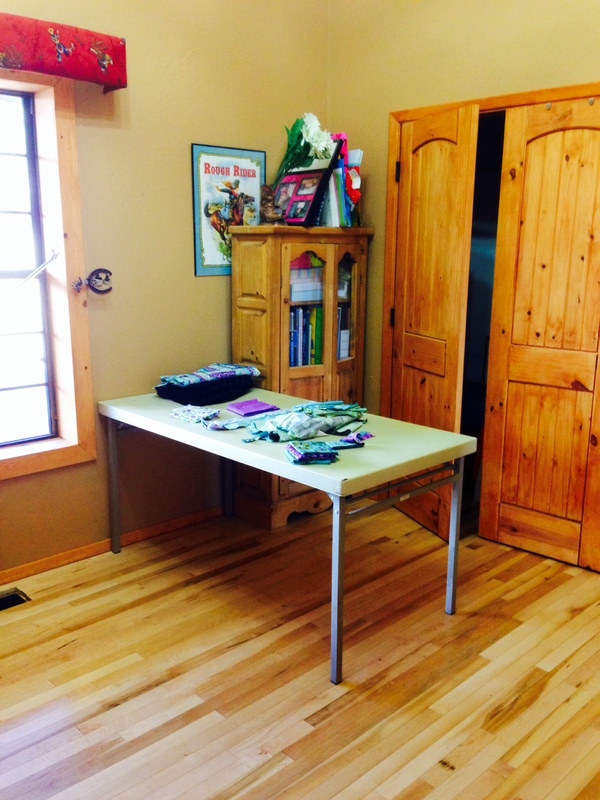 I’ve learned there will just never be time or money for all of that… but at least maybe now some crafting or sewing might occur in this room! Yay! How do you decide where to put an ironing station? Lol I don’t know…. 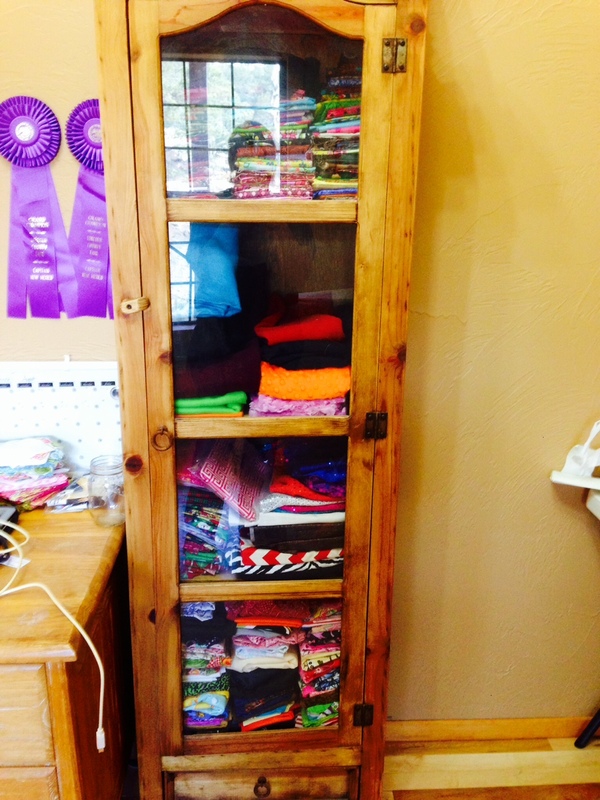 The hubby brought home this awesome cabinet that a customer gave him! It worked out perfect for my medium size fabrics. Large pieces I put on a shelf in the closet and tiny scraps I put in a big tote in the closet. I’m going to try setting up my sewing machine on my grandma’s antique ranch oak desk and see if that height works for me. I’ve got a small table in mind I need to bring home and put in the room that’s the perfect height for my daughter to sew on too that will be added to the room. Table for cutting/layout or crafting in general. As you can see we’ve got a couple of projects in the works this week. My daughter is working on a rail fence throw for 4-H and I’m working on a nice big cuddly throw in some great green and turquoise tones. Can’t wait to finish those up!